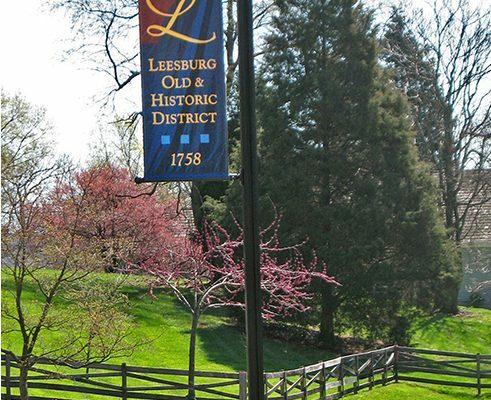 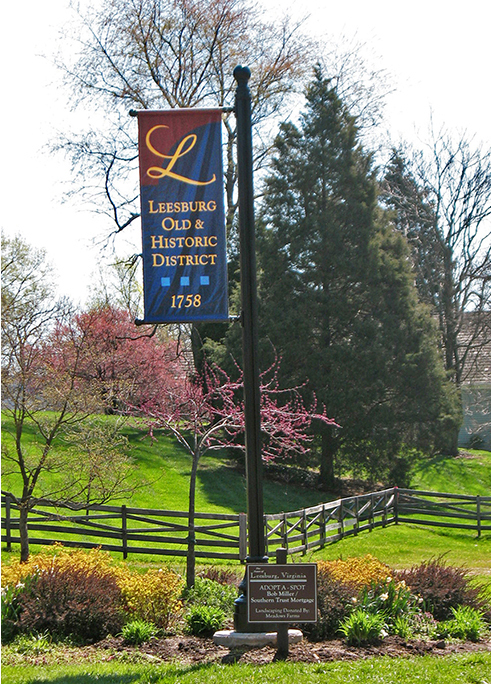 Leesburg offers a vibrant business district with small town appeal. 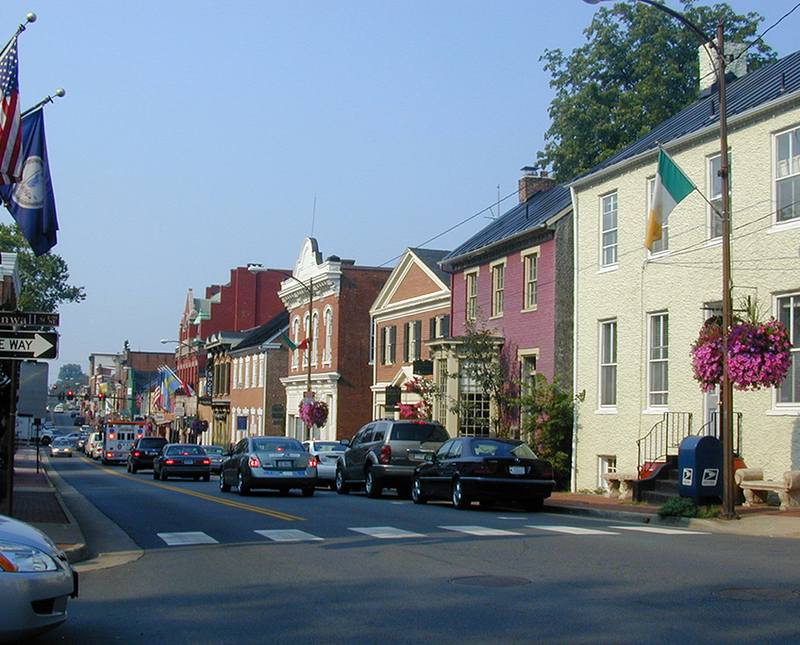 The town is situated only minutes from Washington, D.C. and Dulles International Airport. The attractiveness of its downtown is attributed to the quaint atmosphere, the human scale of its buildings and streets, and slow vehicular traffic. 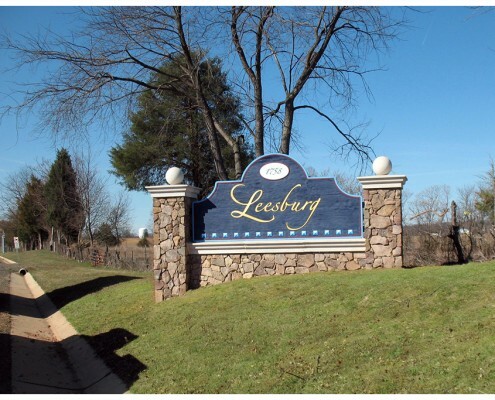 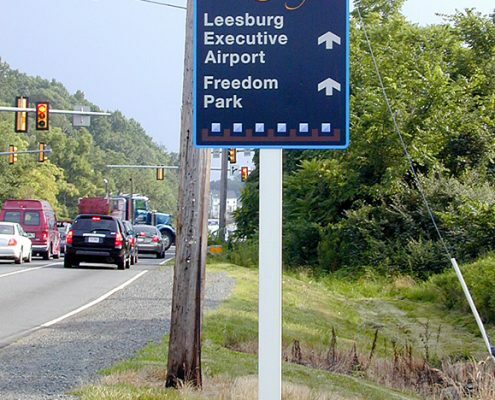 However, just beyond the bypass that defines the heart of Leesburg, the scale instantly increases with large subdivisions, multiple lane roads, and higher vehicular speeds. 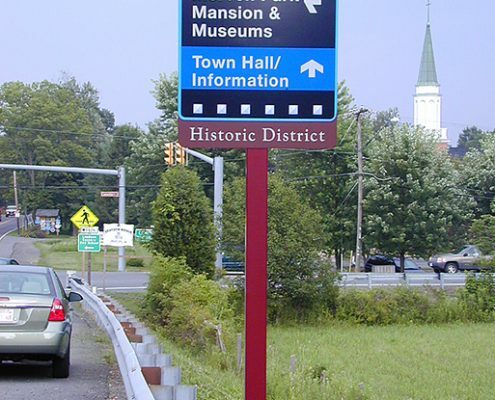 In creating a comprehensive sign system for the town, both areas needed to be addressed. 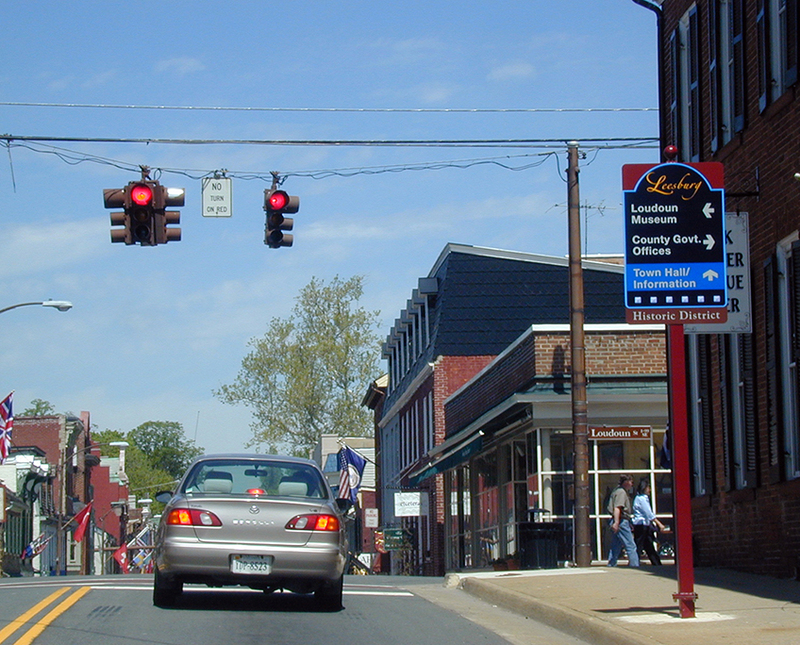 Most importantly, visitor traffic had to be captured and redirected downtown. 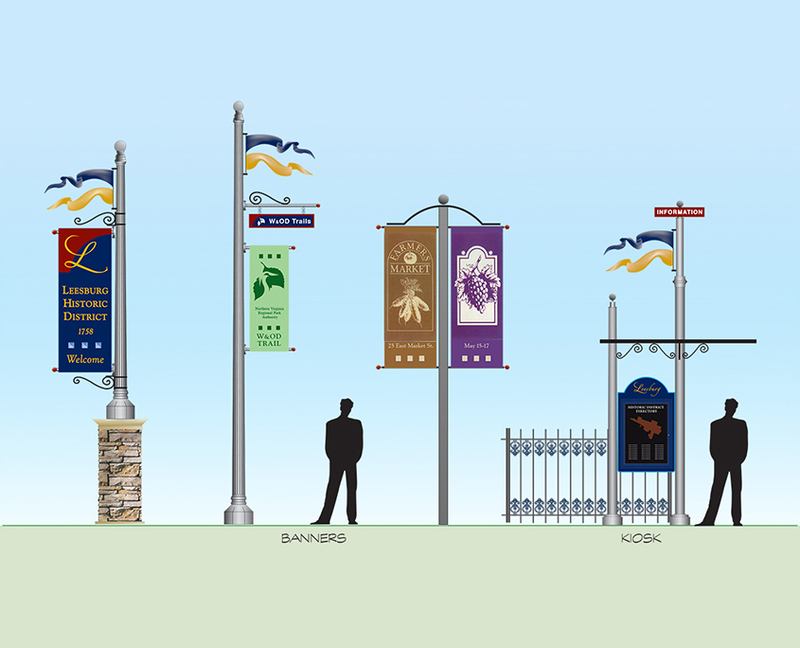 A sign committee was created to assist in the development of the design and programming of the sign system. 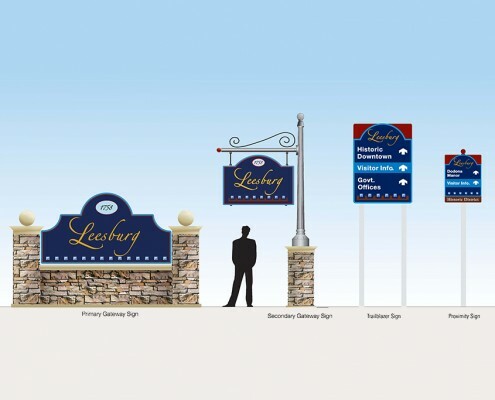 The basic sign system includes gateway entry signs, trailblazer signs that direct visitors to three primary destinations, then proximity signs that directed visitors to specific local attractions. 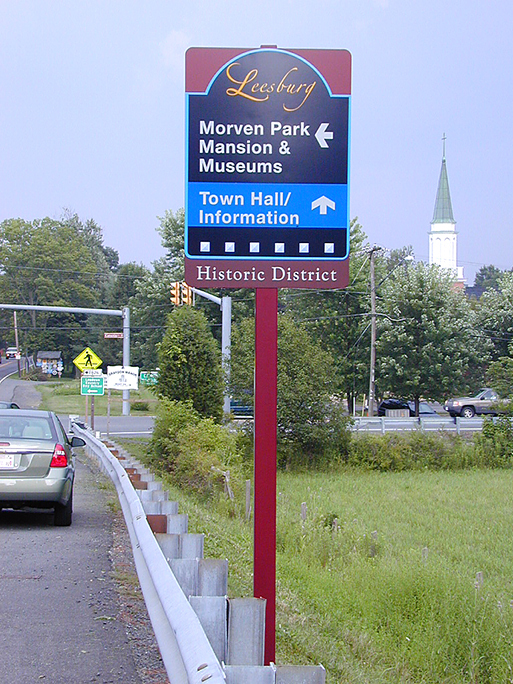 Complementing the basic sign system are historic district gateway signage, special events signage, celebratory signage, a kiosk for pedestrian level signage and additional interior parking signage for the Town Hall parking garage. 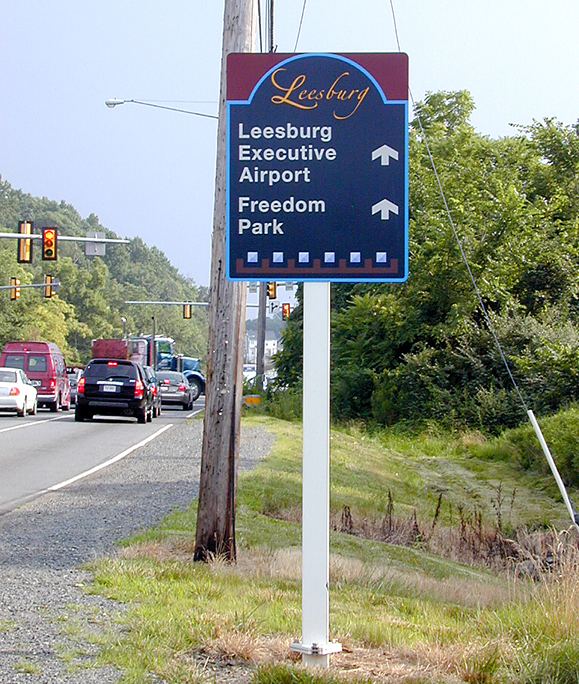 The fabrication of the different sign systems is divided into three phases based on their priority of installation.